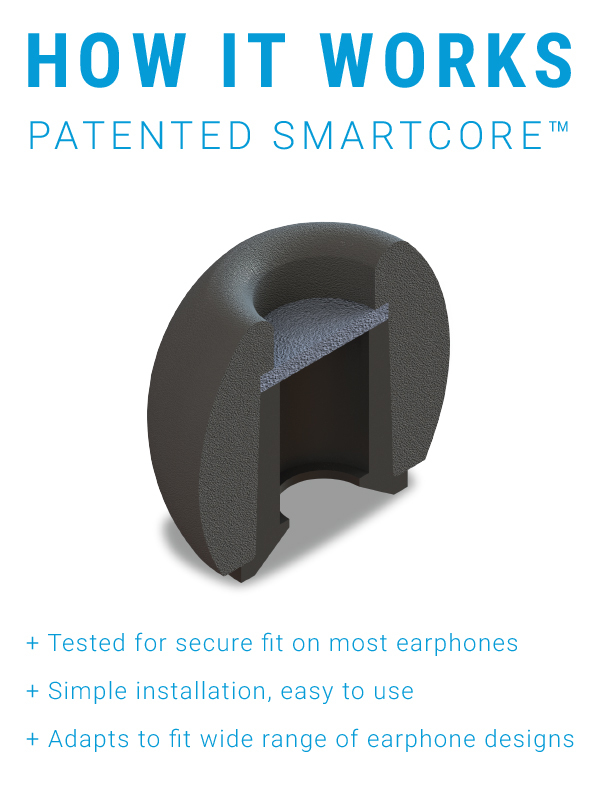 *SmartCore™ fits on sound port nozzles with a 0.19” - 0.24” (4.8mm - 6.3mm) diameter which is all models under the 200, 400, 500 and 600 series. Does not fit on Etymotic, Klipsch, Shure and Westone brand IEMs. Only available in size Medium. You can also find this product in-store at JB HiFi.